Located on the south end of Lake Norman, just 20 minutes from Charlotte, Morningstar Marinas has everything you need to make the most of your time on the water, whether you’re cruising with friends, reeling in fish, tubing with the family, or brushing up on your wakeboarding or skiing skills. One of North Carolina’s largest lakes, with 520 miles of shoreline and 32,510 acres of surface area, Lake Norman is a watersports paradise. Whether you’re tubing, wakeboarding, skiing, sailing, fishing or just cruising, Lake Norman's waterfront restaurants, beaches and tie-up spots form a community of boaters like no other. Discover our array of boat storage options to meet your needs from wet slips and indoor dry storage for your boat. Check out what we have gong on at the marina this season! Brad is a hospitality guru with 15 years in the industry, 5 of those spent with Disney in Orlando, FL. 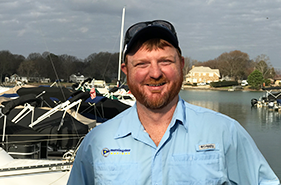 A Mississippi State graduate, Brad loves his family, music, golf and the outdoors, and aims to make our customers feel at home. Abbi grew up on Lake Norman area and truly appreciates the beauty of the surrounding area. 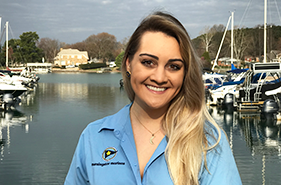 She loves interacting with customers and can't imagine a day without being by the water. I am new to NC and decided to join this marina this year. I can say that I have never been more happy! The Operations Manager, Brad, and Abbi who also works in the office have been the best. Any questions I had were answered and they were willing to go the extra mile to help with whatever I needed. The facilities are clean and well-kept and every staff member I have come in contact with has been so nice! I'm glad I decided to be a member of this marina! I would recommend Morningstar at Kings Point to anyone looking for a great place to store their boat! World class service! Every single time I visit Kings Point Marina in Cornelius the experience has been enhanced by the superior service. 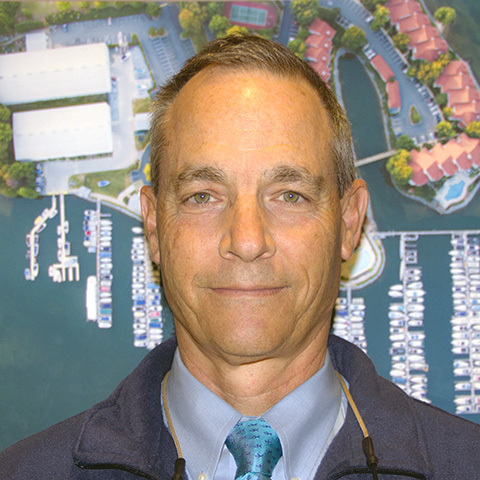 The Marina Manager and his staff are extraordinarily knowledgeable and friendly. The marina is very well maintained and beautiful facility, always clean. Very welcoming. Thanks to everyone at Kings Point, you truly are best in class. Brad, Zack, and the team worked through potential rental issues, without hesitation, and turned a good day on Lake Norman, into a GREAT day for our entire family! Since returning for added summer rentals, their service has never wavered and tops them all. Having tried other options on the lake, we will stick with the folks at Morningstar - your people make ALL the difference. Thanks to all! Located just 20 minutes from Charlotte on Lake Norman, Kings Point is the social marina where all friends and family are welcome. Our staff is always ready to lend a helping hand to allow for a relaxing day at the marina.